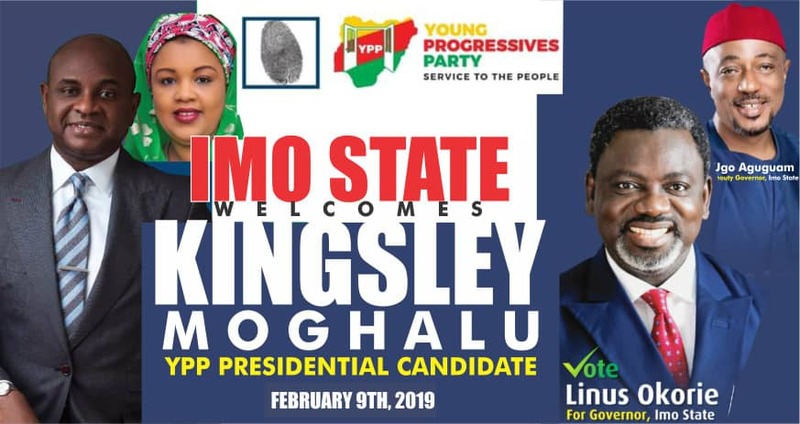 The Presidential candidate of YPP Professor Kingsley Moghalu visits Imo State for Presidential Rally. "Nigeria is in a dire need of good quality leadership. We need good leaders that understand what leadership is about; it is about service not about being served. Its about having a clear vision and guiding people to the achievement of that vision. " 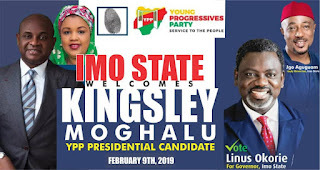 "I have said it before and I will say it again, "The Presidency of the Federal Republic of Nigeria is a very SERIOUS RESPONSIBILITY and I AM READY for it and it is TIME."